While the social need for after-school programming is evident, the need for academic and social interventions is even more pronounced. Less than 60 percent of students who enter public high schools in Orleans Parish successfully complete in four years. Only two percent go on to enroll in college and less than one percent actually graduate from college. In an effort to assist students from under-served communities to remain in school and on track for high school graduation and success in college and beyond, the Urban League of Greater New Orleans and New Orleans Saints player Malcolm Jenkins’ foundation are partnering to offer a life skills, mentorship and scholarship program to enhance the Student Life component of the Urban League College Track program. 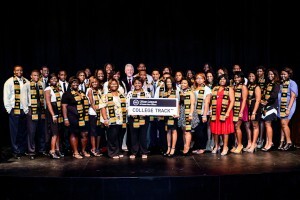 Urban League College Track is an after-school college preparatory program for students in grades 9 – 12. The partnership will create a strong infrastructure to support students while maximizing learning opportunities and educational experiences. For more information on the Urban League College Track Program and the Malcolm Jenkins Project R.E.W.A.R.D.S., contact sburnside@urbanleagueneworleans.org. Established in 1910, the Urban League is the nation’s oldest and largest community-driven agency devoted to securing economic self-reliance, parity, power and equal rights for African Americans. The Urban League of Greater New Orleans was founded in 1938, and is one of 97 chapters of the National Urban League. The Urban League of Greater New Orleans is dedicated to economic empowerment in order to elevate the standard of living in historically underserved communities in New Orleans. Through our Centers of Excellence, the Urban League provides direct services in the areas of education, economic development, social advocacy and policy development. For more information on the Urban League, visit them online at www.urbanleagueneworleans.org. 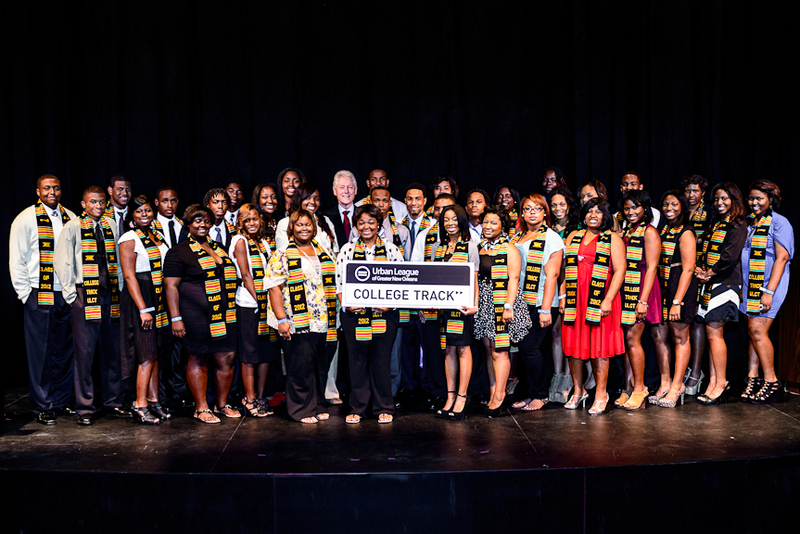 Urban League College Track (ULCT) is an after-school, college preparatory program that works to increase high school graduation, college eligibility and enrollment, and college completion rates among low-income students in New Orleans. ULCT actively engages students in high quality programming from the summer before ninth grade through college completion. Through a three-tiered approach of direct services, community partnerships, and advocacy, Urban League College Track is working to serve a critical mass of high school students and helping to transform low-income communities into places where college readiness and college graduation are the norm. ULCT partners with community organizations and schools to ensure students’ success. 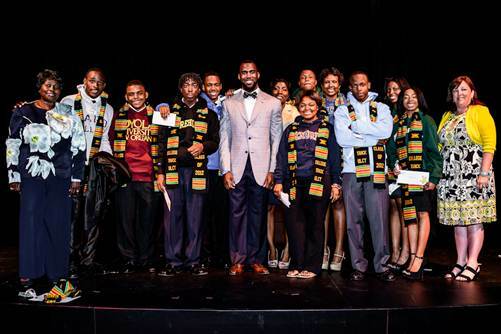 Malcolm Jenkins established the Malcolm Jenkins Foundation in 2010, to effectuate a positive change in the lives of youth, particularly youth living in underserved communities; by providing resources, innovative opportunities and experiences that will help youth succeed in life and become contributing members of the community. The Malcolm Jenkins Foundation is committed to youth development initiatives and programs, which emphasize mentorship, character development, leadership, education, life skills and recreation. The Foundation embraces the values of Integrity, Responsibility, Service, Community and Fiscal Accountability. These values serve as the building blocks for its youth program initiatives. For more information on The Malcolm Jenkins Foundation, visit them online at http://www.themalcolmjenkinsfoundation.org.